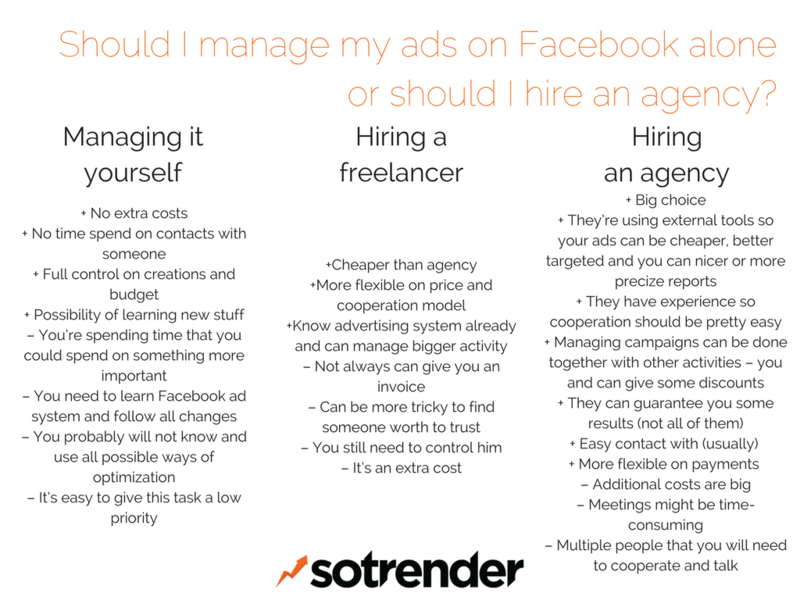 Should I manage my ads on Facebook alone or should I hire an agency? All three solutions will have positive and negative sides and balance of those should help to make the right decision for you and your business. Managing ads on your own is best solution for small campaigns – when budget is very limited, you’re using only one/two ad formats and overall activity will be rather short. Hiring a freelancer make sense with middle size campaigns. Make sure that you will check his references and also his skills on few smaller campaigns – ask him to present exact plan and results after flight. 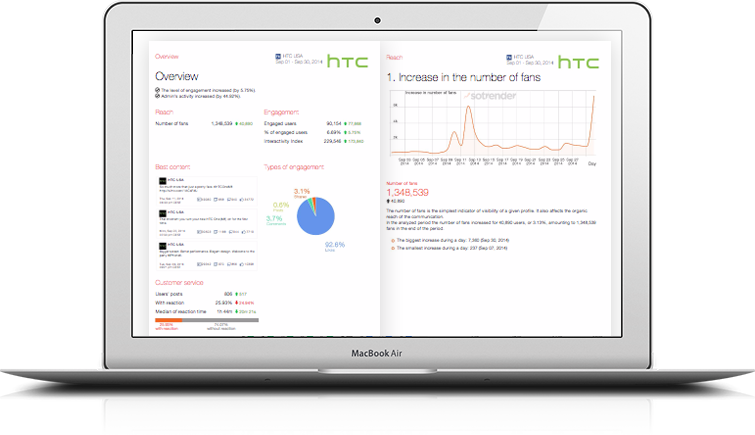 This solution is perfect for big campaigns when constant control and optimization is a key to success. When choosing agency it’s worth to see with whom they worked already, if they’re specialists in specific markets or types of campaigns, what tools they’re using, what kind of results they brought and how they can report to you.